The nature-rich Chugoku area, which consists of Tottori, Okayama, Hiroshima, and Yamaguchi prefectures, is full of beautiful autumn-leaf viewing spots. Here are some of the best spots in the region, which attract many visitors during the fall season. On this beautiful conical-shaped mountain, which is often compared to Mt. Fuji, there is a temple called Daisen-ji. 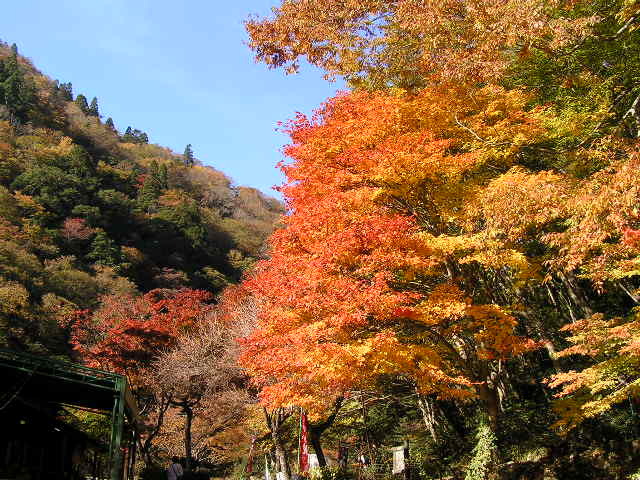 The Daisen Kanjo road, that goes from the temple to the Kagikake Pass, is famous for the beauty of its autumn leaves. The best autumn-leaf viewing season goes from the end of October to the beginning of November. In addition to the scenic roads and the observation parking area, you can enjoy mountain climbing, hiking, or simply go for a walk. The Go-kei Gorge is the most impressive autumn-leaf viewing spot in Okayama, and it is designated as a national scenic site. The pristine stream and the autumn leaves create a breathtakingly beautiful contrast. The best viewing time is from middle to late November. The Taishaku-kyo valley is one of Japan’s quasi-national parks. 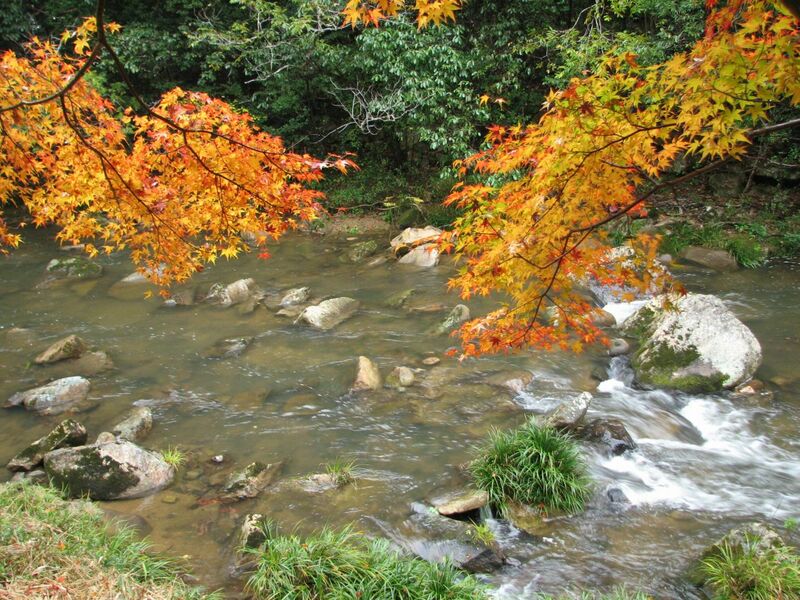 The autumn leaves in this park create a delightful contrast with the rocks in the 18 km long valley formed by the Taishaku river. The best viewing time for autumn leaves goes from the end of October to the beginning of November. The Sandan-kyo Gorge is a vast, 13 km long valley. The entire gorge changes colors with the arrival of autumn, and the trees, the rocks and the waterfalls in the gorge create a magnificent scenery. The Sandan-kyo Momiji festival is scheduled to be held on October 26th, 2014. Miyajima, one of the most popular tourist attractions in Hiroshima, is also known as a great autumn-leaf viewing spot. The Momiji-dani (valley of the autumn leaves) Park offers some of the best sceneries during the autumn-leaf viewing season. 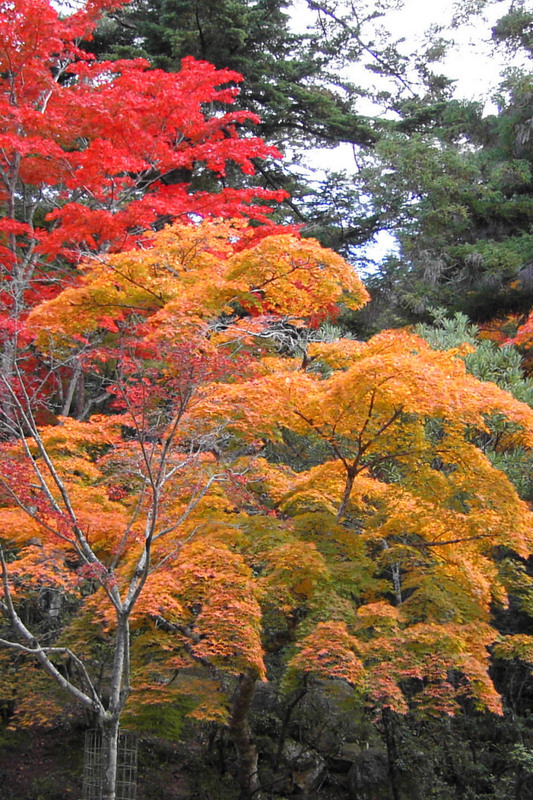 In addition, the Momiji festival will be held from November 16th to November 30th at the Daisho-in Temple nearby. The best viewing time is from middle to late November. The Jakuchi-kyo valley extends at the foot of the highest mountain in Yamaguchi prefecture, Mt. Jakuchi (altitude : approximately 1,300 m). The valley is a tourist attraction famous for its beautiful waterfalls. The contrast of the autumn colors with the Goryu-no-Taki waterfall, which is one of the 100 best waterfalls in Japan, will let you experience the grandeur of nature. If you missed the chance to see the autumn leaves in Tokyo, head to the Chugoku area to catch a glimpse of this beautiful gift from Mother Nature.